There was no track record of success for professional hockey in Philadelphia when the National Hockey League owners met for three days at the St. Regis Hotel in New York City to hear final bids for the expansion of the six-team league to 12 clubs. There was no NHL-caliber arena in Philadelphia. There was no general manager officially lined up at this point. There were, of course, no players signed. There wasn’t even a name for the team yet. “It is hard to believe we are going to be celebrating our 50th anniversary,” said Flyers Chairman Ed Snider. “It feels like it was just yesterday when the National Hockey League awarded us an expansion franchise. In our first season the Hockey News thought we would be the team least likely to succeed, but were they ever wrong! Now here we are, with memories of two Stanley Cups, the Russian Game in 1976, the 35-game unbeaten streak, the five-overtime win against Pittsburgh in the 2000 playoffs, coming back against Boston in 2010 down three games, two Winter Classics, and so many more. My favorite part has been sharing these moments with all of the players who define Flyers Hockey, with the hundreds of employees who work tirelessly to create a great fan experience, and with the millions of dedicated, loyal and passionate Flyers fans who have made our first fifty years so incredible. Together we truly have something special." At the conclusion of the meetings of Feb. 7-9, 1966, what there was the heartbeat of new life. It started with a simple phone call from Bill Jennings, the head of the NHL’s Expansion Committee, to Ed Snider of the franchise bidding entity calling itself Philadelphia Hockey Club, Inc.
For much of 1965 – when the NHL formally laid out its expansion plan into 1966 – the Philadelphia bidding group went to work out of the public eye and media spotlight so as not to spur potential competition. While the Philadelphia group tried to put its best foot forward with the NHL, they dealt with the process of putting their money where their dreams were. 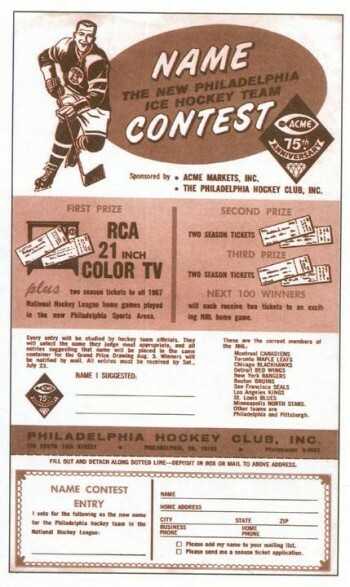 In order to do so, Philadelphia Hockey Club, Inc. navigated a painstakingly difficult and contentious process for coming up with the $2 million franchise fee and, just as vitally, putting together a land deal with the City of Philadelphia to get an arena built for the start of the 1967-68 NHL season. Snider’s primary responsibility was to work behind the scenes with the City of Philadelphia and he opened dialogue with Jennings. In many ways, Philadelphia was one of the dark horses in the race for an expansion NHL team. Baltimore was the long-rumored middle Atlantic area front-runner during the process and Philadelphia was the lone market – despite being on the biggest cities in the United States – that had not at least been able to sustain a successful minor league team in that era. The only previous NHL team in Philadelphia, the Quakers, were a disaster both on the ice and at the gate during its lone season of existence (1930-31). It did not help matters one bit that the Great Depression had taken hold in 1929. The woeful club went out of business after winning just four of 44 games and bleeding red ink in the ledger book. In the meantime, Philadelphia had a succession of minor league teams – each and every one from 1929 to 1947 coached by a man named Herb Gardiner – they came and went over the years. There were clubs called the Arrows, the Falcons, the Rockets and the Ramblers. The teams had a loyal but decidedly small cult following that turned out to the ramshackle Philadelphia Arena in West Philadelphia (46th and Market St). The Jersey Devils of the Eastern Hockey League, playing out of the Cherry Hill Arena in Haddonfield, NJ, likewise had a small niche following but not nearly enough to sustain a team. The lack of past success of pro hockey ventures in Philadelphia was a significant stumbling block in convincing the NHL owners that things would be different this team. In the meantime, Snider and his partners found little interest – sometimes downright dismissal – from bank representatives and other potential investors. The most indispensable key to convincing the NHL to give Philadelphia a shot was to get far along enough in the process of getting an NHL-caliber arena built. The proposal to the NHL and a five-page brochure designed to highlight the main take-away points for the Expansion Committee was largely based around the point that previous pro hockey teams in Philadelphia had substandard facilities and the new one would be state-of-the-art. In the meantime, ownership group member Bill Putnam identified a fiery but astute minor league hockey general manager and former NHL player named Norman “Bud” Poile as its top choice to serve as Philadelphia’ general manger, assuming its franchise bid was approved by the NHL. Poile’s top theoretical choice for head coach was Keith Allen, the coach and general manager of the Western Hockey League’s Seattle Totems. 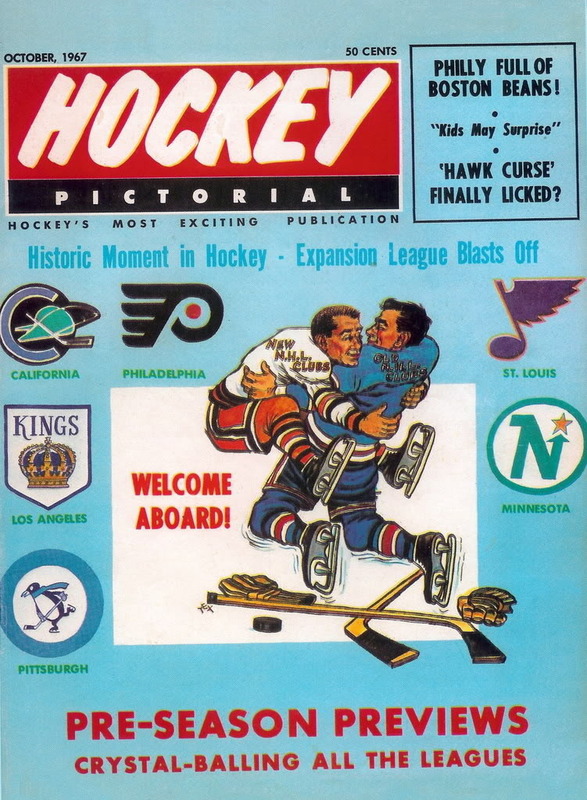 On Feb. 8, 1966, in New York, the Philadelphia group made its appeal in New York to the convened NHL owners. The next day, Philadelphia was officially awarded a conditional NHL franchise. The condition: deliver on the promise of an arena and pay the franchise fee. There was plenty of hard work and emotional anguish to come before the first puck dropped for an NHL game in Philadelphia. All that mattered at this moment, however, was there was newborn life to a Philadelphia hockey team. Persistence and an energetic competitive drive to make the team into a reality had carried Philly into the homestretch of the marathon. These very same traits would, of time, became hallmarks of the team that soon came to be known as the Flyers.